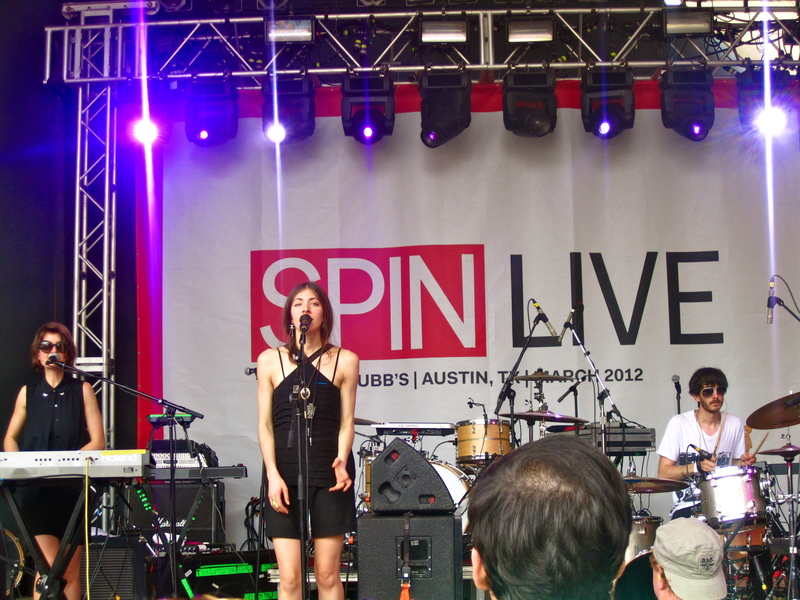 Last weekend I fell in love with Chairlift. Prior to my trip to Austin for SXSW my knowledge of the band rest solely in one single, Sidewalk Safari. When Matt and I were making our list of bands to see there were two choices for Friday afternoon, wait in line for the Rhapsody Rocks party where Gauntlet Hair, Zola Jesus, and Washed Out were playing, or the Spin Party to see Santigold, Best Coast and Chairlift. Since we didn’t get passes to the Spin party Rhapsody rocks it was. While filming The Day After with Yahoo! Music reality blogstress (yes I just made that up), Lyndsey Parker, we started chatting about the full day of music ahead. Long story short….I guess it was the Austin air or the fact that it was my birthday, regardless, she hooked us up with two passes to the Spin show!!!! 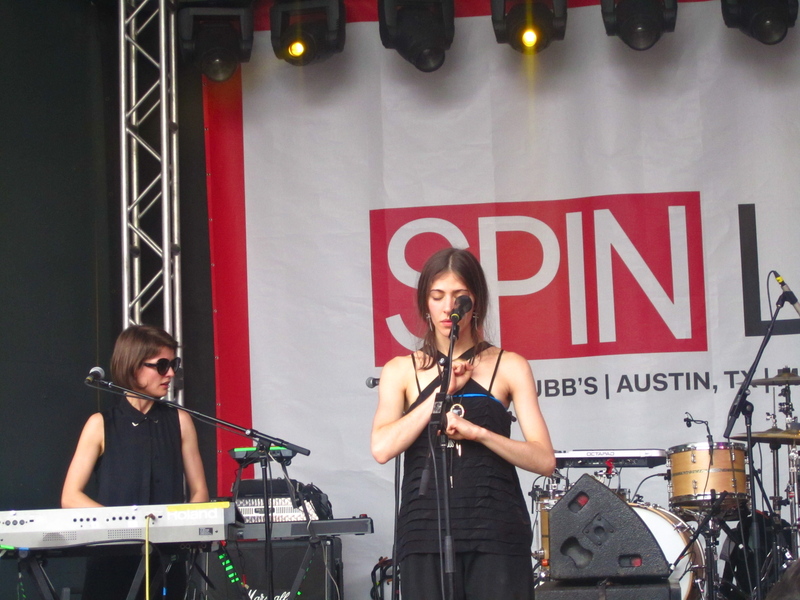 So in between the amazingness of Gauntlet Hair and Zola Jesus we rushed over to check out Chairlift. 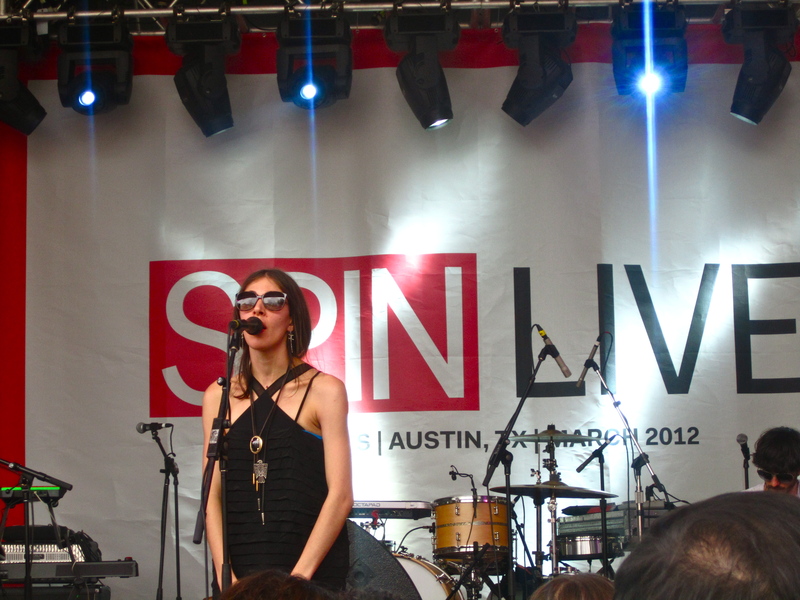 Let me just say…I was completely hypnotized by lead singer Caroline Polachek. She oozed this mysterious calm and coolness with her quirky dance moves and vocals that seemed to cover the crowd like a blanket. I instantly downloaded their latest album and haven’t stopped listening to it since. On a side note…we totally missed Santigold, le sigh, but I saw her a few years back and if you get the opportunity you must see her live. AMAZING!